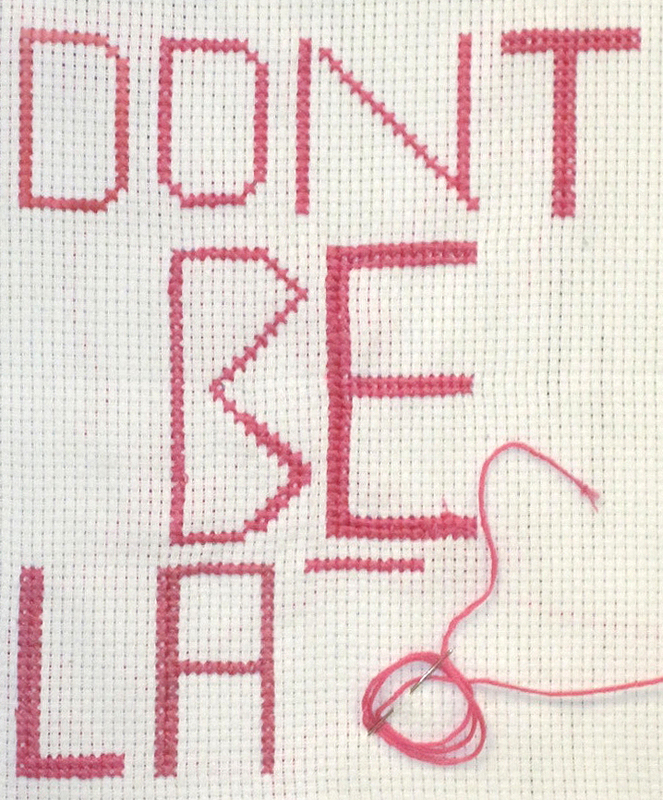 Brooklyn students embroider their ideas: Part 18 | Be Nice. You know, Sophia, this may not be done, but it looks great! 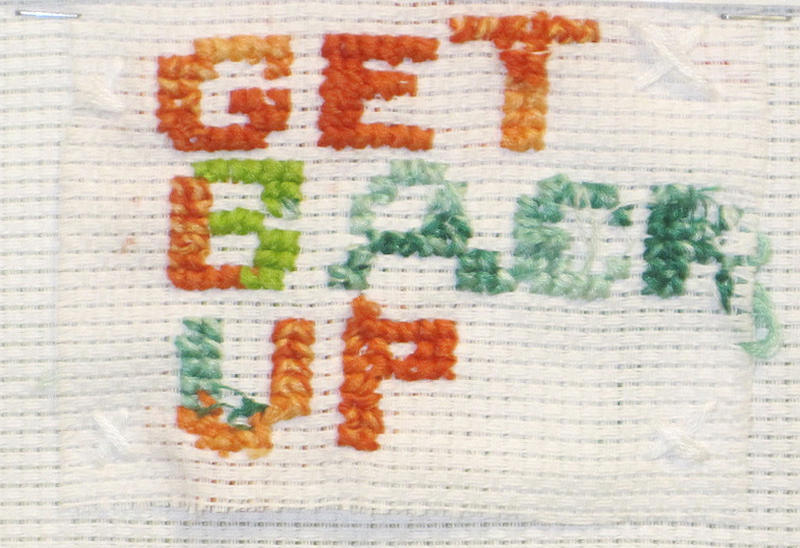 You can see the effort you put into the stitches–very clean, very consistent. Embroiderers everywhere would be proud! I hope you finish this piece for you, even if the deadline has passed. I have that problem too Jessica (over-thinking). You wouldn’t believe how long it takes me to decide on dinner! This is a very dynamic image. 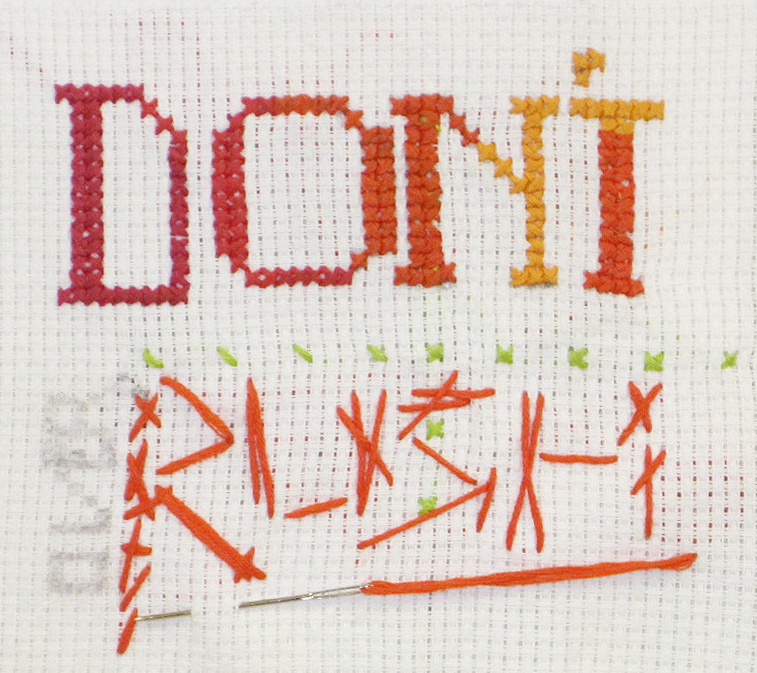 I know the project was focused on cross-stitching, but it is interesting how quick the word “rush” looks. A little ironic, funny, and a nice way of getting the message across. Sometimes a balance between rushing and working slowly pays off! One thing I am still learning, Owen, is that our “failures” or “mistakes” or “strike-outs” are sometimes the best way to learn. We wouldn’t become the people we are if we didn’t make mistakes (all of the great inventors “failed” a ton of times before they discovered their “great invention”). It is how we bounce back and learn from our mistakes that defines us. We can never be perfect. We can be better at something with practice and hard work (like baseball), but we can never be error-free. Your message is great! Excellent work! This entry was posted in Amicable Allegories, Brooklyn students embroideries, Nice Notions, Nice Reading Material and tagged affirmations, aida cloth, art, Be Nice, Brooklyn, crafts, embroidery, middle school by Jen. Bookmark the permalink.